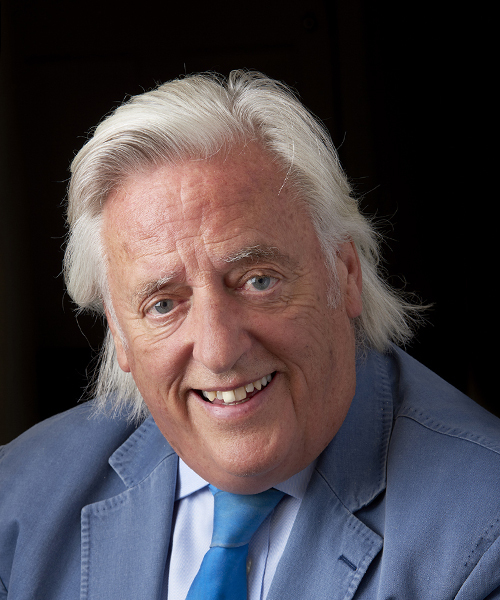 Email Booking Enquiry Media Enquiry Michael Mansfield QC was called to the Bar in 1967. He then established Tooks Chambers in 1984 and became Queen’s Counsel in 1989. Michael has represented defendants in criminal trials, appeals and inquiries in some of the most controversial legal cases the country has seen, particularly where issues of Civil Liberty have arisen. Barry George, accused of killing TV presenter Jill Dando; the family of Stephen Lawrence both in the private prosecution for murder and the Public Inquiry and the families of victims at the Bloody Sunday Inquiry in Derry and London. He also chaired an Inquiry into the “Shoot to Kill” policy in the North of Ireland at Cullyhanna. the family of Laurence Rush whose wife was killed in the Omagh bombing in his action against the Police in Northern Ireland and the Secretary of State for Northern Ireland. Michael has represented many families at Inquests, including Tom Hurndall and James Miller, two British journalists murdered by the Israeli army, the Marchioness Disaster, the Deptford/New Cross Fire; the Lockerbie/ Dublin Monaghan bombings, and Michael Barrymore. Michael’s past clients include: Angry Brigade; Phone Freak Network; Endell Street Squat; Incitement to Disaffection; Welsh Arson Conspiracy; QEII Conspiracy; Price Sisters; Persons Unknown; Armenian Dissidents. Angela Cannings, the acquitted ‘cot death’ mother; Tahira Tabassum, acquitted widow of the first British suicide bomber in Israel; the Orgreave miners who were unjustly accused of riot during the miner’s strike in 1984 and Arthur Scargill. The Birmingham Six, who were released in 1991, nearly sixteen years after being wrongly convicted followed by the Cardiff Three; the Tottenham Three; the Winchester Three; the Bridgewater Four; the Cardiff Newsagents murder Appeal. Those in the ABC Official Secrets case and the Operation Julie drugs trial; Searle and others (cannabis joint possession); Ameer and Lucas (cannabis recycling). James Hanratty, hanged in 1962 for murder; Mattan executed for murder but exonerated on Appeal; ‘spy’ Michael Bettany; Frank Critchlow and the Mangrove; the Bradford 12 and the Newham 7 against the National Front; Tottenham Riots trial; Dr O’Shea; Brighton Bombing and Resorts Conspiracy, Sikh Conspiracy to murder Indian Prime Minister. Robbers in the Knightsbridge Heist; Ronnie Knight; cases related to Operation Countryman; Colin Wallace, The “Camberwell”, ‘Torso’, ‘Big H”, M25, Eddie Gilfoyle, Morris murder trials and Appeals; Judith Ward; Iraqi dissidents fleeing Saddam Hussein; Turkish and Kurdish exiles; Palestinians charged with the Israeli Embassy bombing in London and Ruth Ellis, the last woman to be hanged in Britain. The White Moor escape; Risley riots; Strangeways riots. The Cambridge Two (community workers); the Veal Crate Protest; Poll Tax riots. Advising the McLibel Two and the Sea Empress disaster. Saajid Badat; Patel. Cases involving issues of forensic science — Angela Weir (handwriting); McFadden, McNamee and McNamara (all fingerprint cases); Kempster (ear prints); Kevin Callan (neuro-pathology); Simon Hall (fibres); Ian & Angela Gay (salt poisoning); Lorraine Harris and four others (SIDS and shaken-baby), Pendleton (fresh evidence House of Lords); re. ‘P’ (similar fact evidence joint trials House of Lords); Deen and Hanratty (DNA); Power, Ward (explosives). And Superintendent Ali Dizaei in two Trials and an Appeal. He has presented submissions to the UN HRC in Geneva on Israeli human rights violations and to a subcommittee of the UN GA in New York. He represented Alfie Meadows re the student demonstrations in London 2010. Michael has been engaged in assisting a team of Canadian lawyers mounting a challenge in relation to the Tar Sands environmental disaster on behalf of the Cree Nation. Michael led the prosecution at the Ecocide mock trial at the Supreme Court in September 2011. In June 2013 he chaired the Lewisham People’s Commission of Inquiry concerning Lewisham Hospital. Michael was a judge on the Iran People’s Tribunals. In December 2009 he participated as an expert in a conference on Transitional Justice organised at the European Court of Human Rights in Strasbourg. Chair of the White Paper Conference 2009 and 2010, Surveillance on Security Matters. Michael was a member of the jury panel on the Russell Tribunal inquiry into the legal ramifications of Israel’s human rights and humanitarian law violations in Palestine. Michael was a speaker at the IBA Annual Conference – Peace after terror: rules or reconciliation? held in Dublin in October 2012. Michael’s latest book is Memoirs of a Radical Lawyer, published by Bloomsbury, 2009. Articles in 2011 include: The Guardian Online Why we are marching on 26* March’, The Guardian Online ‘Barristers Right to Comment’, The Guardian and The Guardian Online ‘The French Resistance’, Government Gazette January 2011 two articles Legal Aid and Russell Tribunal, Politics First Control Orders, Electoral Reform Society Alternative Vote ‘A Purple Spring’ (publication date unknown) and the Role of the CCRC (yet to be published), Professor of Criminal Justice – Kate Moss foreword for book ‘Human Rights: Human Wrongs’ (publication date unknown), Financial Times CCF article ‘How to Give It’, Sunday Times magazine ‘Relative Values’ article 17th April 2011. Articles in 2010 include: The Times on the Chilcot Inquiry into the Iraq war; two articles on the Russell Tribunal on Palestine for The Times and Socialist Lawyer, an essay for the Justice Gap edited by Jon Robbins; a print debate with Melissa Benn for Red Pepper on the general election. In addition: Forewords to two books – one on the Ricin Trial and the other on the Tichborne Claimant. In 2011 he participated in a number of TV and film documentaries – on Bloody Sunday, Legal Aid, Lockerbie, Human Rights Act and Forensic Science.